As one of our most loyal customers, we’re inviting you to share your 3D printing success with your colleagues and take part in our exclusive referral program. Invite your network and colleagues to experience the industry-leading Form 2 3D printer. Enable your connections to print industrial-quality prints at a fraction of the cost of other professional 3D printing solutions and you'll both receive a free liter of one of our Standard Resins. 1) Share your unique referral code with your network or a colleague. Once you receive your unique referral code in your inbox, share it directly with your network. Whether it’s a colleague in another department at your company, or someone else you think might benefit from 3D printing, your referral code has no limit on the amount of times it can be redeemed and can be shared with more than one person. 2) When anyone you refer buys a Form 2 using your unique referral code, they’ll be able to redeem a free liter of any Standard Resin at checkout. 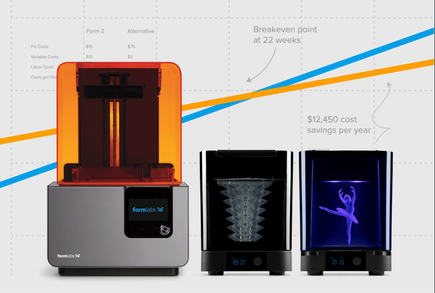 Your referral code can be used an unlimited number of times when redeemed with a Form 2 purchase. 3) Redeem your free liter of any Standard Resin. Once your unique referral code has been redeemed, you’ll receive a coupon code directly to your inbox for a free liter of one of our Standard Resins. Share these helpful resources, along with your unique referral code, when you invite your network to experience the Form 2. Whether they want to see a 3D printed sample part or compare cost and time savings, these resources, in addition to your valuable experience and opinion, can help them in their decision-making process. The more times your referral code is redeemed from your network, the more free liters of resin you each receive. In this comprehensive guide, we cover the different types of SLA systems, various materials and their characteristics, and how SLA compares to other 3D printing technologies on the market. This simple, interactive tool helps you calculate cost per part and production time per part when 3D printing on the Form 2, and to compare time and cost savings to alternative production methods. 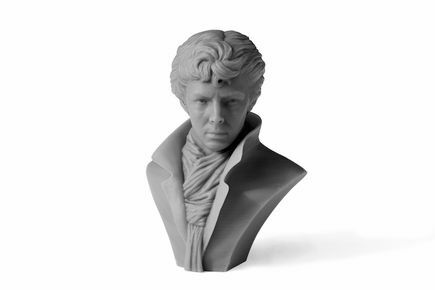 Complete the form, and we'll ship you a sample part 3D printed on a Form 2. 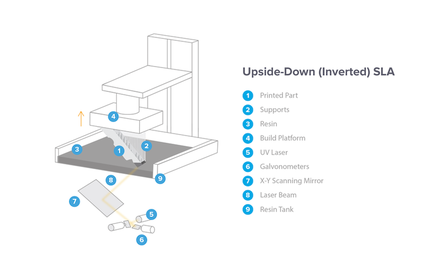 The sample part will help you visualize what you can create with desktop stereolithography. How do I know if my unique referral code has been redeemed? You’ll receive an email with a coupon for a free liter of any of our Standard Resins each time your referral code has been redeemed with a Form 2 purchase. How many times can my unique code be redeemed? Referral codes can be redeemed with every Form 2 printer purchase. Is there a limit to how many free liters of standard resin I can receive? You can receive up to one free liter of Standard Resin for every Form 2 purchase you refer. Will my referral code expire? Yes, referral codes expire on June 12th, 2019 and are only valid in the US. Which Standard Resins are available for redemption? You may redeem any liter of Grey, Clear, White, or Black Resin.